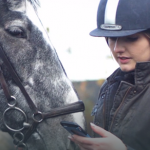 We are delighted to follow-up on the announcement of our investment in The LinkApp with an insightful interview with Lauren Riley, the CEO and founder of The LinkApp. Q: What time do you wake up and how do you spend the first hour of your working day? A. 7am and first task is brief email prioritisation to make sure there is nothing blocking my team from progressing, then I start on the task I have given the highest priority to for that day. Q: When you left school, what did you think you would end up doing? What were your aspirations? A. I always wanted to be a lawyer, working in the city on litigated matters. My route wasn’t direct but I did qualify as a solicitor 5 years ago. I always had big aspirations for myself. A. Before I qualified as a solicitor I completed a business graduate scheme for an American company and they were very customer service focussed. When I arrived as a trainee solicitor and I saw the way client communications were handled I knew there was a real problem and a great opportunity to solve it for the benefit of all involved. 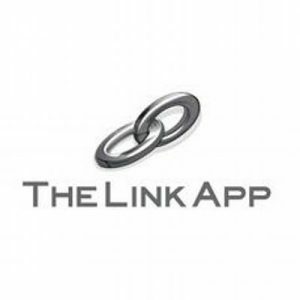 The more lawyers I met or law firms I worked in the more I knew The Link App was needed to provide better efficiency and client relationships. A. The look on lawyers faces when they see the product during training. Most likely the firm has already decided they will use it at that point and they probably weren’t consulted. There is usually a fear of the unknown, especially technology. However, when they see how easy it is to use they look relieved and eventually embrace the changes. Knowing what a difference our product will make to them is a great feeling. Q: What have you enjoyed most about your career to date? A. I have never believed in the limitations placed upon us by others. I love proving to the world that if you follow a well thought out plan with passion and determination, you can succeed. So many people tried to put me off studying law as the ratio of law students to qualified solicitors is so poor and I didn’t have all the advantages some students did. This gave me an extra push to make it. You need a lot of commitment as an entrepreneur and each success in my business is worth any of the difficult moments to get it there. Q: What is your top tip to becoming a successful entrepreneur? A. Solve a real need that you have experienced yourself. It will give you a huge advantage when creating your product or service offering and most importantly credibility when you come to sell it. Q: Where do you hope to be in 5 years’ time? A. I hope to see The Link App as the communication method of choice for all legal professionals globally. A. Being a non-technical founder gave me the predictable challenge of finding a CTO. However, being a non-technical product owner gives me a perspective closer to our users. Finding a CTO is probably always the number one challenge in this circumstance as they are in high demand. Q: Are there any blogs/websites/influential people you recommend that people follow? A. I have my own YouTube channel MissLaurenRiley and blog www.laurenriley.co.uk so you would think I would have loads of good examples of this but the truth is don’t get to contribute enough to my own content with all the demands of running a business. It leaves very little time to follow others. Simon Devonshire is a mentor of mine and extremely knowledgeable in the start-up space. Simon has a great blog Tall Man Business. I do recommend people digest content like this, particularly when you are starting out. I will refocus in 2017 to sharing my entrepreneurial journey more by blog/vlog. Q: What technology could you not live without? A. I am naturally a huge fan of SAAS tech. Trello, Buffer, Dropbox, Googledocs all serve to make my team that little bit more efficient each day and efficiency is key. 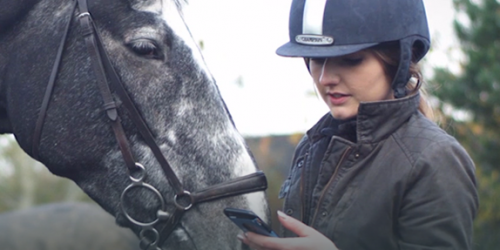 We are very excited that Jenson Funding Partners investee company EQUUS ENGLAND have launched their Crowdcube Limited campaign today with over 50% funding in the first 24 hours! Please check out their campaign via: http://bit.ly/2DCnDYJ but beware your capital might be at risk and equity investment isn’t for everyone!